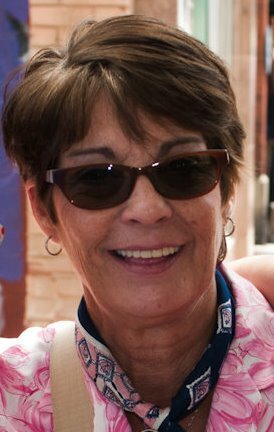 Obituary for Robin Michele (Buettner) Shaw | Fletcher Funeral & Cremation Services, P.A. Robin Michelé Shaw, 62, of Berlin, died Monday, January 28, 2019, at her twin sister’s residence in Westminster. Born July 3, 1956 in Baltimore, she was the daughter of Peggy J. (Edwards) Buettner and William L. Buettner, Sr. of Centreville, MD. She was the beloved wife of David C. Shaw, her husband of 42 years. She worked as a computer analyst with Northrop Grumman. She enjoyed the beach, boating, and spending time with her granddaughter. Besides her parents and husband she is survived by children Matthew K. Shaw and wife Elizabeth, Emily N. Shaw Roys and husband Robert Roys; brothers and sisters Karin Grasso and husband Neil, Cassandra Forcucci and husband Michael, twin sister Rene Kratzke and husband Edward, William Buettner, Jr. and wife Marilee Tortorelli, Mary Styron and husband Robert and John Buettner and wife Rita; granddaughter Angelina C. Shaw Roys; step-daughter Tracey L. Barnhart and husband Joseph, 2 nieces, 6 nephews, 1 great-grand-niece and 2 step-grandsons. The family will receive friends on Sunday, February 3, 2019 from 12 to 2 p.m. and 4 to 6 p.m. at Fletcher Funeral & Cremation Services, 254 E. Main St., Westminster. Funeral services will begin at 6 p.m. If you choose please wear your favorite Peanuts gang shirt to honor Robin. Interment will be private. Memorial contributions may be made to Carroll County Youth Service Bureau, 59 Kate Wagner Road, Westminster, MD 21157 or the American Lung Association at www.lung.org.